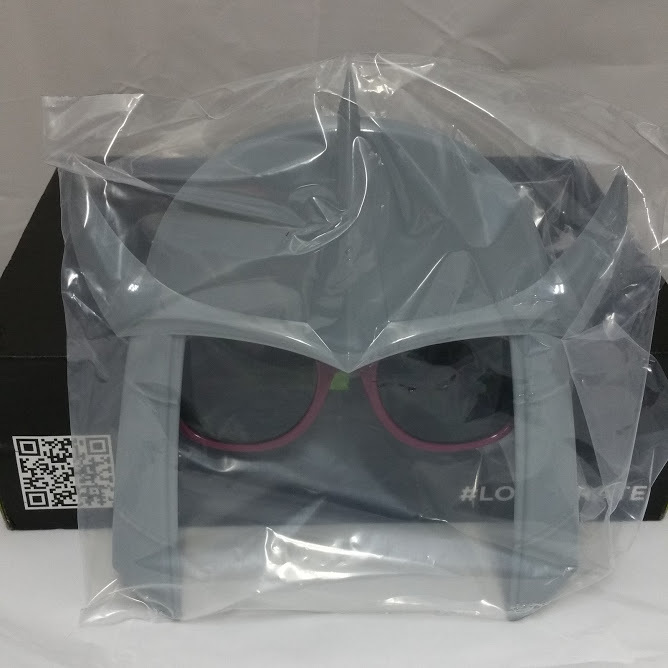 These sunglasses like the previous TMNT ones are cool but not practical. The only time I wear sunglasses is while driving and these are a bit much. I really like them, but I will probably never use them. I guess I can always give them to my little brother. 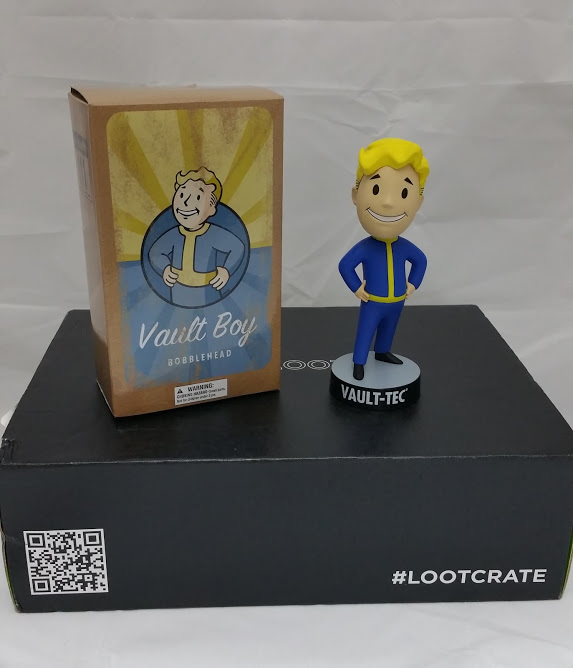 If you’re a fan of Fallout you will recognize this character, Vault Boy! I have played two games from the Fallout series and I plan on picking up Fallout 4. This will go on my desk at work. I’m a big fan of Blizzard games. I started playing the original Warcraft in elementary school and played almost every title since. I haven’t heard of this line of vinyl figures but I’m glad they included one in this months box. 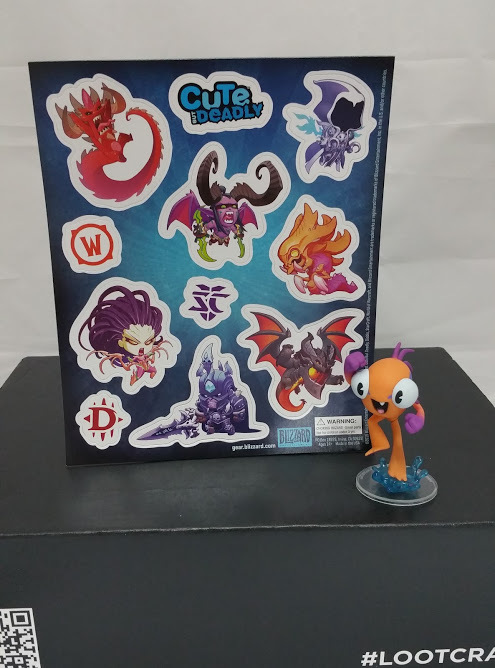 Who doesn’t want a chibi Blizzard character?! 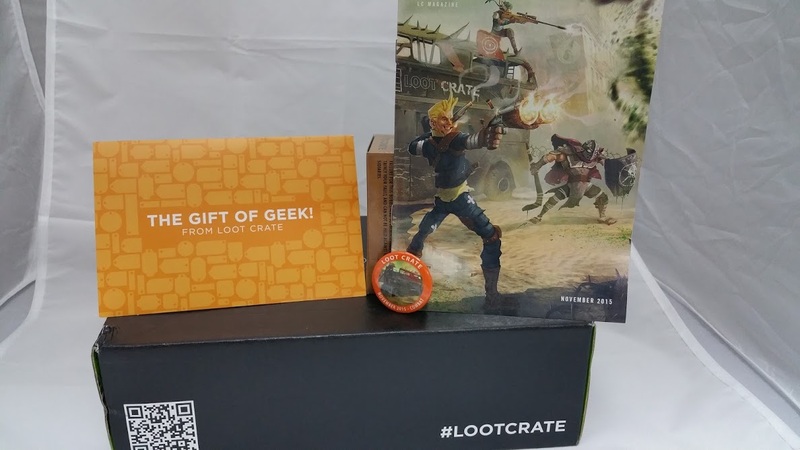 I got the Loot Crate Murloc which will go on my desk. The other thing that came in was sheet of magnets as well. They are not particularly strong and I think they will slide off easy. The Game of Thrones magnets from a past crate was stronger. 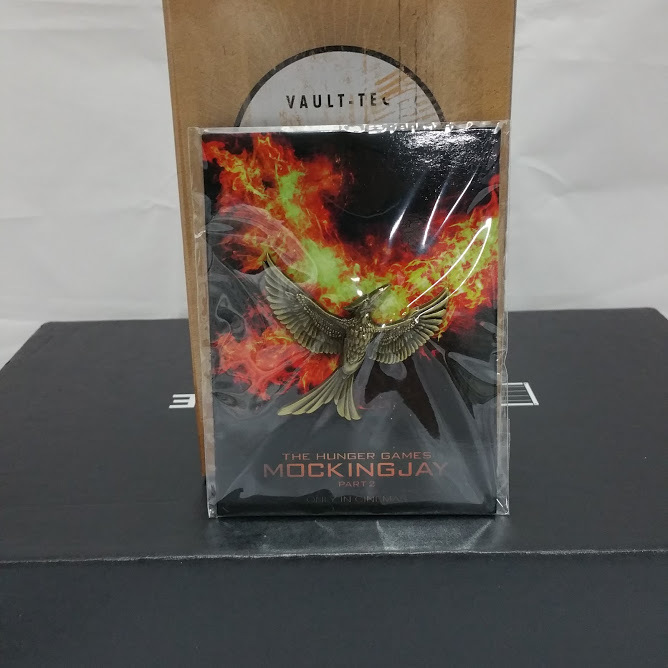 The last installment of the Hunger Games movies is out this month and Loot Crate has included a Mocking Jay pin. 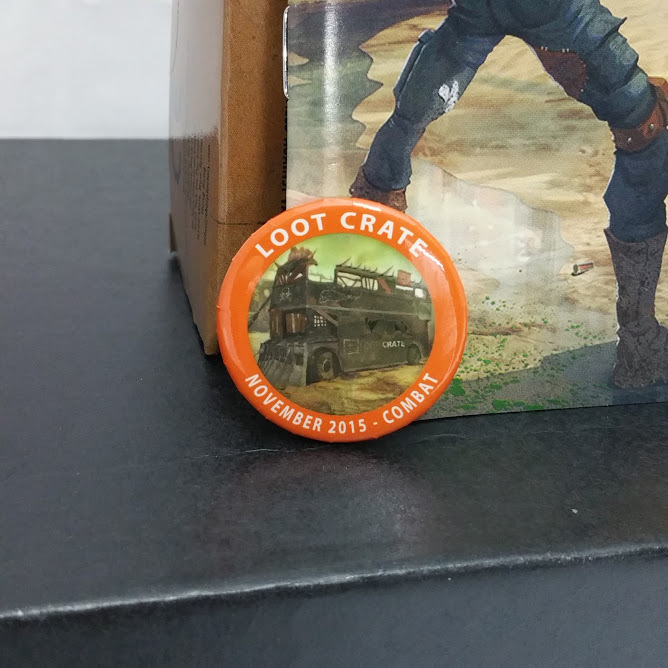 I like the pins that Loot Crate has been adding lately. Like the Hydra pin I will probably added this to my Warmachine bag or give it to my younger sister who is a big Hunger Games fan. 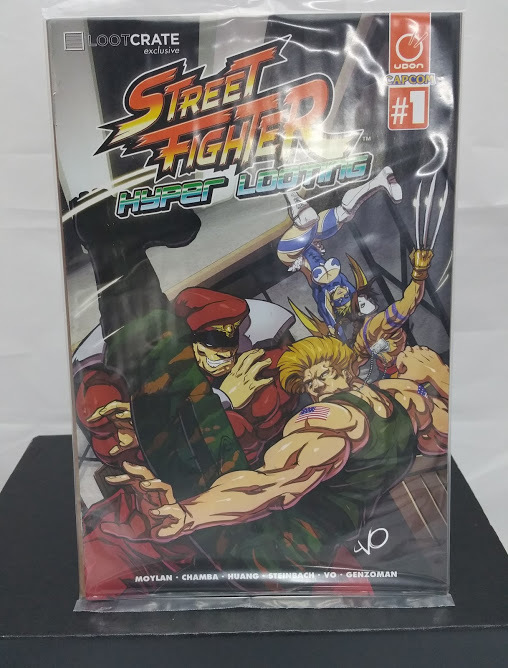 I’m a fan of the Street Fighter series but I haven’t played any recent games. I hope the comic is as good as the video games. I think this crate wasn’t too bad. The Mocking Jay pin and comic are okay. 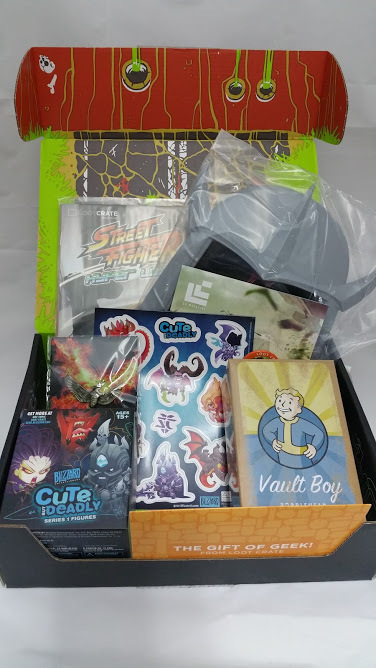 I also liked the Vault Boy bobble head and the Blizzard miniature but the shredder sunglasses and magnets were a miss. This month didn’t beat last month but I think next month will be better.